Last week Club Penguin asked what your favorite scary style was! There was lots of submissions. My favourite costume is all the scary costumes mixed together. I might wear the ghost costme with bumble bee antennas and frankenstein feet with the fairy wings. It might not be really scary but it is fun to waddle around with all my buddies trick or treating and looking all muddled up!!! Waddle On CP!!!!! Congratulations Evie! 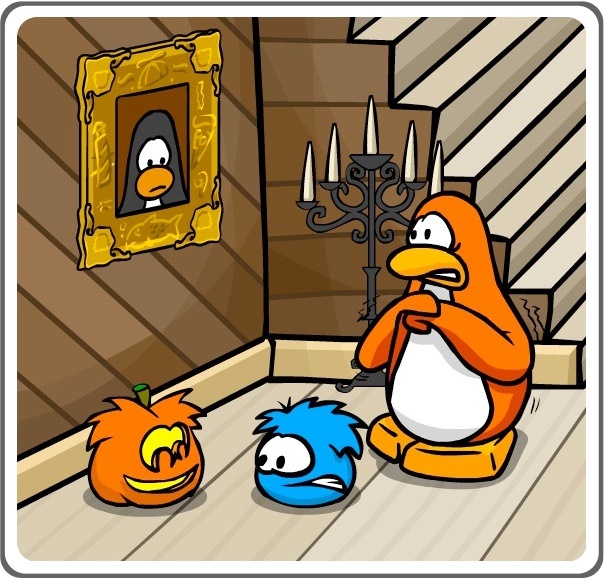 This week Club Penguin wants to know how you’re decorating your igloo for Halloween. If yours gets picked next week, they’ll add 10,000 coins to your penguin account!